Raven is smart, curious, mysterious. He is a messenger of the gods and his primary message is: change is coming. 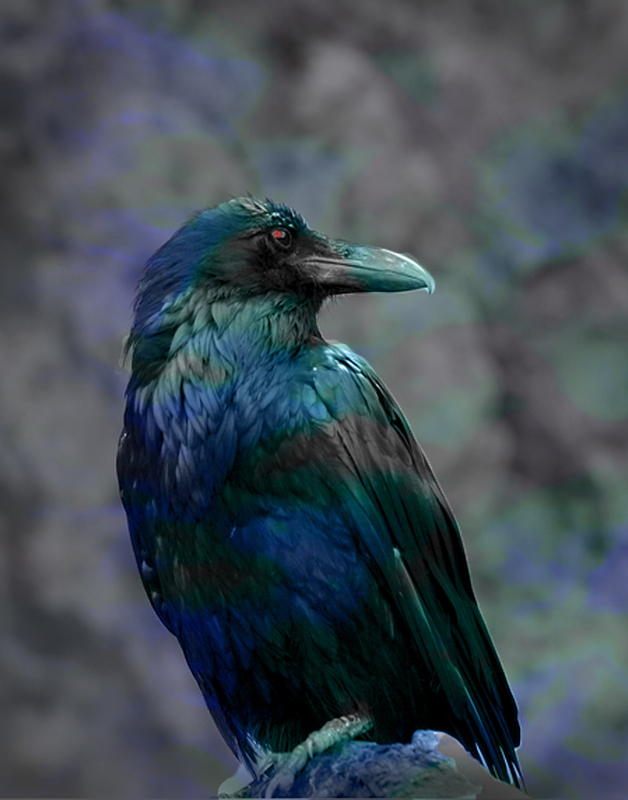 When raven speaks to you, it’s time to turn your focus inward and listen to the secrets he is bringing you. Raven can help you confront your fears and solve problems that may seem impossible. Silver-white Horse - Horse is a powerful symbol. Strong, free, and graceful, horse is also a spirit messenger who can take you to far away places of enchantment, wonder and awe. Horse represents your inner strength and passion, your driving force in life. Heroic characters often ride white horses which represent the connection between every day life and the land of the gods. The white horse is pure enough to carry the heroine to her triumph over misfortune and evil. The white horse represents good fortune. 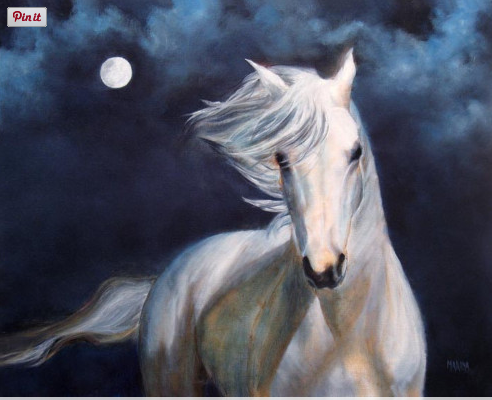 A silver-white horse carries the added symbolism of silver: feminine energy, the moon, and is fluid, emotional, sensitive and mysterious. It is soothing, calming and purifying. It also signals a time of reflection and a change of direction as it illuminates the way forward. Special thanks to the amazing artist Marina Petro for allowing us to share "Moonsilver" with you. Marina describes herself as "an intuitive consultant, artist and teacher for over 35 years, I move through life in a heightened state of consciousness and employ my intuitive vision and artistic gifts to enrich the lives of others. ... My original paintings and prints are in private collections worldwide." You can see more about Marina and her artwork at http://marinapetro.com. 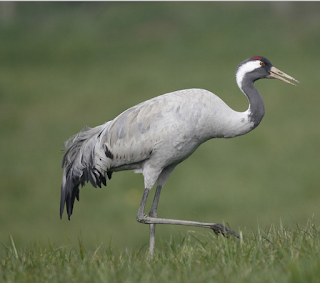 The crane is a majestic bird, long and graceful in flight and often featured in Asian paintings. Early in Sarana’s Gift we learn that Sarah created a rainbow curtain of a thousand folded, origami cranes and later that her piece of art was titled “Peace Comes in All Colors." The connection between cranes and peace is a common one, enhanced by the story of a young girl injured by the nuclear bomb that was dropped on Japan. A Thousand Cranes: As the story goes, during WWII, Sadako Sasaki, a young victim of the atomic bomb in Hiroshima, was diagnosed with leukemia from exposure to radiation. There are many versions of her story; one says she decided to fold 1,000 paper cranes as a symbol of peace and hope but was only able to fold 644 before she died of her injuries. Another says her friend folded the cranes for her in hopes of her recovery. Regardless of who folded the cranes, today people of Japanese ancestry as well as many others, carry on the tradition of folding 1,000 cranes in hopes of health, happiness, and peace. There is a memorial statue of Sadako at the Hiroshima Peace Memorial Park with her holding a single crane. My maternal grandmother is from Hiroshima and we still have relatives there today. They were fortunate and were not harmed by the bomb. Some Native American Tribes associate the Crane with good luck, peacemaking, leadership and speaking skills while the Chinese consider the crane a symbol of longevity and auspiciousness and folktales from many culture have the crane delivering babies. There is a legend that says if you fold a thousand cranes, you will get your wish. 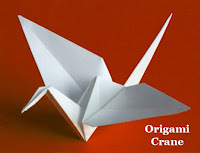 If you want to fold an origami crane, here’s a video on how to do it.